At Google's Manhattan HQ - Joe.My.God. 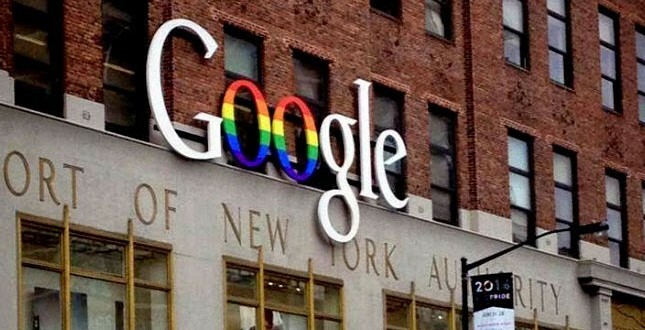 Google has altered the sign on its massive Chelsea headquarters. Every year several hundred “Gayglers” march in New York City’s pride parade. Source.